Seeking dynamic dancers to join a female dance group that is currently auditioning for new dancers in West Midlands. We are a ladies dance group and perform at various cultural events nationally with an expanding portfolio. 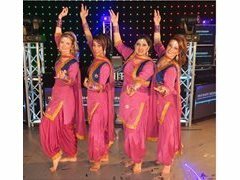 We perform at outdoor festivals, TV, weddings, pre-weddings, hen parties, anniversaries etc.. as well as annual cultural events.